OLD PARKED CARS. : 1983 Mitsubishi Pajero SWB. Oh my god, amazing find. Very rare in the US. So does this predate the SWB Mitsu Montero Sport? Yes, the SWB Mitsu Montero Sport predates the Montero Sport, but they are two different models (despite Mitsubishi trying to imply some of the Montero off-road credibility by naming the smaller truck the Montero Sport). The Pajero (Montero in the US) came in 2-door SWB and 4-door LWB varieties. It's on it's fourth generation, and it's had a long and successful world rallying history. 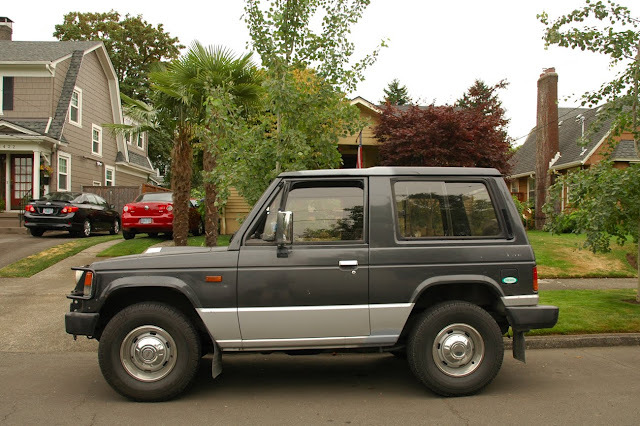 The first-gen Pajero Sport (Montero Sport in the US) was initially based on the Pajero chassis, but that's pretty much where the similarities ended. The second-gen model was based on the Triton pick-up (not available in the US). In the US, the Montero Sport was replaced by the Endeavor in 2004. Joey has it right-these are insanely rare, I think i've only seen one. Great paintjob, and those faux-dogdish wheels are sweet. 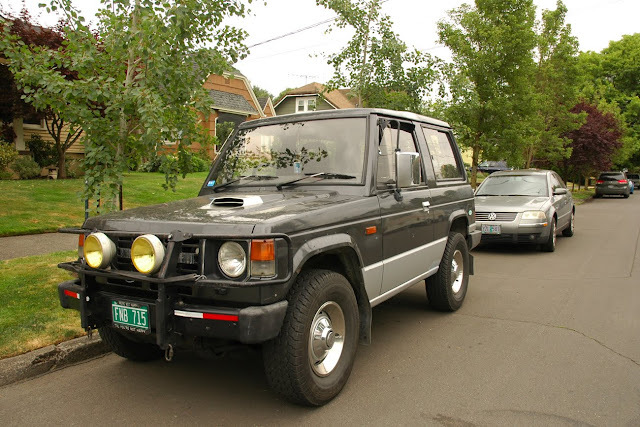 that is cool, a right hand drive pajero swb turbo diesel in america. I wish we would have gotten the turbo diesel models over here,that hood scoop makes it look even better.I wonder where the owner imported this thing from. Is this the same as the Dodge Raider? Love the hood scoop, wheels and front driving lights. The proportions on this are pretty wacky. The wheel wells are huge! 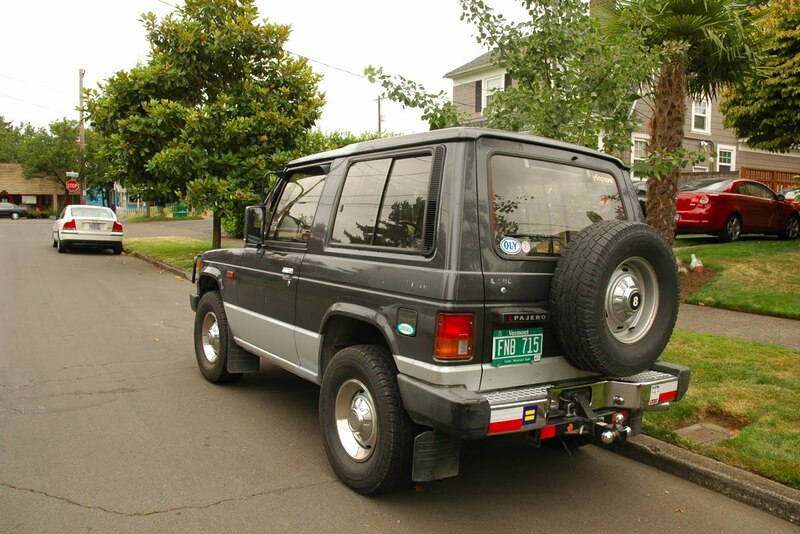 @ Seattle0, yes, the dodge raider was a badge engineered version of the montero/pajero.